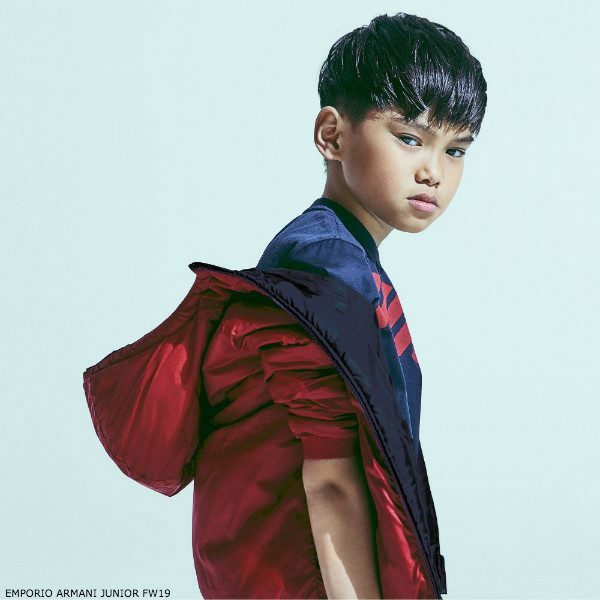 Love this streetwear look for boys this Fall Winter 2019 Season featuring this amazing EMPORIO ARMANI Boys Reversible Blue Red Hooded Jacket. 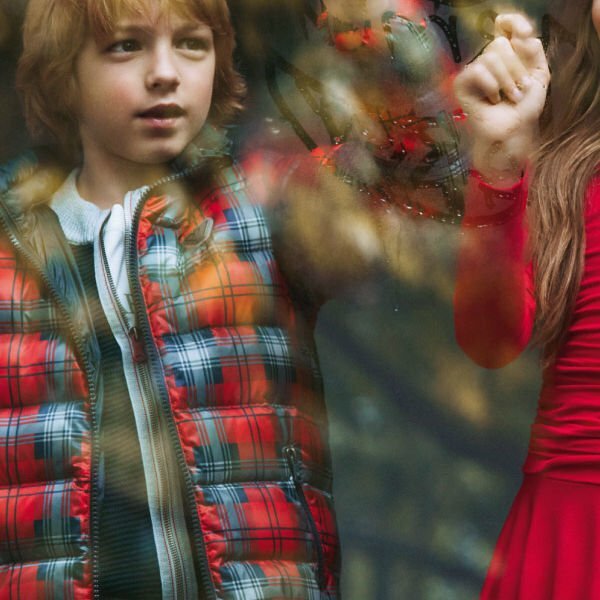 You get two jackets in one, with this blue and red reversible Mini-me jacket for boys by Armani Junior. Inspired by the Armani Men’s FW19 collection, the jacket’s one side has two handwarmer pockets and the other side has a rubberized logo on the chest and two zip-up pockets. Looks perfect with a boys navy blue T-shirt by Armani Junior, with an enlarged version of the brand’s distinctive logo design on the front in red. Complete the look with a pair of EMPORIO ARMANI Junior Boys Blue Slim Fit Jeans and Logo Sneakers. Unfortunately, this EMPORIO ARMANI Boys Reversible Blue Red Hooded Jacket is not currently available. 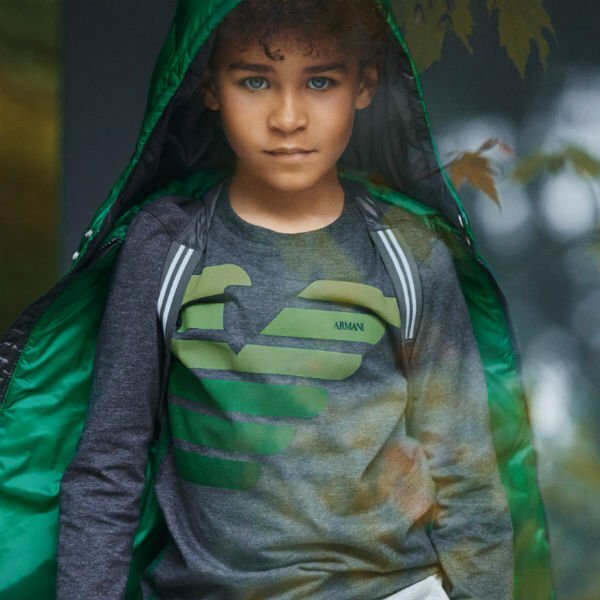 You can shop similar EMPORIO ARMANI Boys clothes from the current collection online.